Police are investigating the reported robbery of a guest Tuesday evening inside the Magnificent Mile’s Ritz-Carlton Hotel, 160 East Pearson. A male guest told hotel management that someone covered his door's peephole and knocked around 9:30 p.m. The man said he opened the door under the assumption that the knock was from room service. Instead, he found himself being confronted by two women who forced him to go to the hotel ATM. The victim and women were joined by two more men in the hotel lobby and all four offenders accompanied the victim to the cash machine where he was forced to withdraw money, he said. Both men implied that they were armed during the robbery, the victim said. 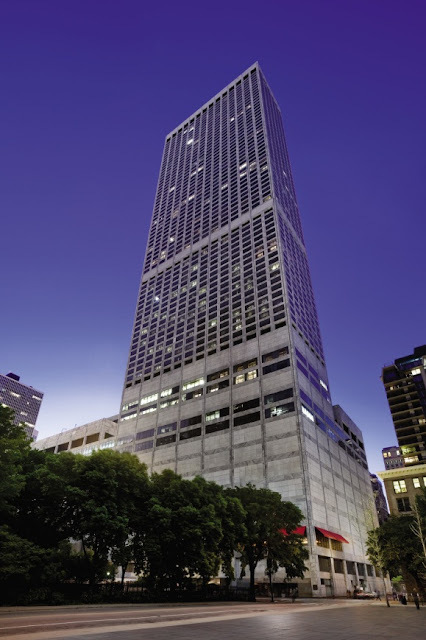 The Ritz-Carlton is located in the Water Tower Place high-rise building off of Michigan Avenue.